Mike Kachanovsky is a consultant providing analysis of junior mining and exploration stocks. His work is published on a freelance basis in a variety of publications, including the Mexico Mike column in Investor's Digest of Canada. He is a founder of www.smartinvestment.ca, which serves as an online community for the discussion of all topics relating to junior mining stocks. The January Effect–the surge that small-cap companies may experience at the beginning of the year–goes back some seven decades. 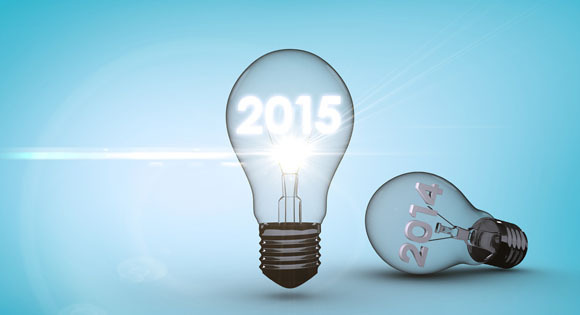 What will 2015 bring? The Gold Report talked to some experts to find out what they are expecting in the early days of the new year and which companies might be in position to take advantage. Most experts are optimistic about a bump, and some have some very interesting ways to profit from it. You scan the menu and notice that the prime rib and the hamburger are the same price. What do you order? The precious metals market isn't so different, according to "Mexico Mike" Kachanovsky, consultant to hedge funds and mining companies and contributor to SmartInvestment.ca. The market has pulverized the price of top-notch mining stocks to the same level as the struggling names. So, which would you buy? In this interview with The Gold Report, Kachanovsky reveals how to find the prime rib of the gold market. Even though precious metals stocks are going through a nasty and unpleasant interval, Mike Kachanovsky, founder and partner of smartinvestment.ca, looks at the market through a bullish lens. Shrewd accumulators are buying all the gold and silver juniors they can. When prices recover, investors will realize that mining stocks have been driven down to generational lows and money will rapidly flow back into the juniors. In this interview with The Gold Report, Kachanovsky details actions smaller juniors can take to survive the downturn and discusses companies with the resources to stay afloat until the markets rebound. "With several new discovery highlights that GYA may outline in the year ahead, there is a good case to be made for a speculative position in this emerging gold junior." "EXN has operational and financial strength; its cash costs are extremely low." "GPR has a very strong financial position." "GPR can use its strong cash position to continue investing in its operations and stay strong for however long this correction continues." "I'm a fan of IPT; it's a low-cost operator that's put three mines into production in the last few years." "RPM has emerged from its settlement with Coeur Mining as one of the best funded juniors." "It looks like MAG has a second major discovery underway." "GRI's drill programs are capable of hitting a big new discovery zone."